Realme, the brand that specializes in providing high quality smartphones, unveiled a realme C1, a “Mega Battery”, “Mega Notch Screen” fashionable and trendy smartphone. realme C1 priced at INR 6999,is set to redefine the entry level smartphones in India. Entering into the aggressive price segment, realme released a ‘introductory price for Diwali season’ of INR 6999 as a gift for its customers to enjoy the combination of power and style. realme C1 will be exclusively available on Flipkart from October 11, 2018 at 12:00 AM onwards. 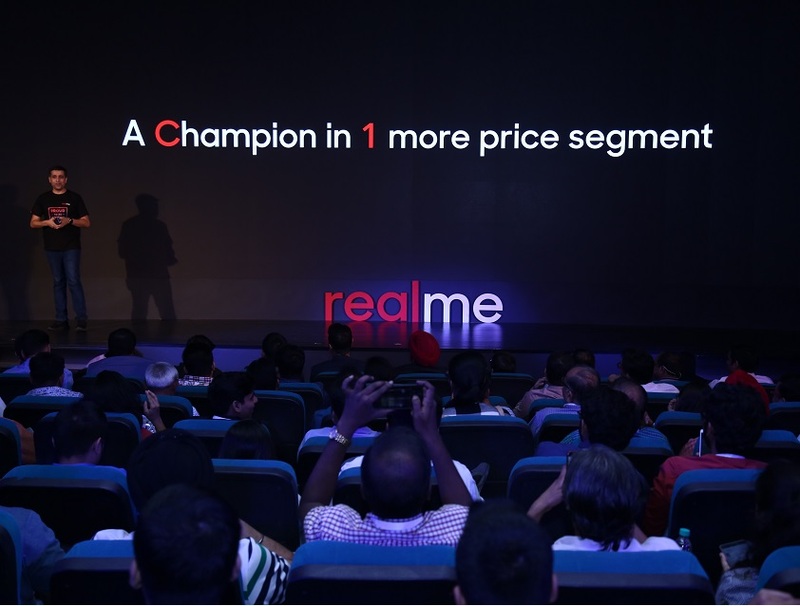 With advanced and strong configuration matched with sincere price, realme C1 is also viewed by the industry to be "a new benchmark for entry-level phones". Realme C1 is sincere in providing multiple top-level configurations of this price segment, proclaiming itself as the "king of entry-level phone". It comes with a 4230mAh ‘Mega Battery, unmatched in its price segment. The phone can last for 44 hours in phone calls, 18 hours in playing music with wifi, and 10 hours of gaming, which is comparable to using a power bank for the same duration. In addition realme C1 smartly restricts background applications not in use through its two core power-saving principles -- "APP-freezing Power Saver" and "Quick App Freezing", to reduce the overall power consumption. In testing conditions, 5%-11% power can be saved when the freezing function is on compared with that when the function is turned off. Realme is an emerging smartphone brand that specializes in providing high quality smartphones for the youth. It was officially established in May 2018 by its founder Sky Li, together with Madhav Sheth and a young team with rich experience in the smartphone industry across the globe. Realme focuses on user needs and presents products with both strong performance and trendy design in the broad context of e-commerce.